Have you ever wondered why the successful fashion bloggers look so damn good in their jeans and whenever you put yours on you feel so average? Let me tell you: The shoes make all the difference. With pointed heels you'll even look elegant in sweatpants so if you don't own a pair yet, it's time to get one now! Winter is about over and we've been blessed with the most sunny weather this weekend. A clear sign that it's time to bring out your favourite trench coat. Don't have one yet? You won't regret investing in a good one as it will look good with about any outfit, from little black dress to distressed jeans. Nowadays you can get trench coats in all shapes, styles and colours but I'd recommend investing in a classy one, inspired by the Burberry "originals", in light beige. For the ultimate stunner outfit in March why not wear all three pieces together? Beim Trench maachen ech mat, Culottes and High Heels sin awer definitiv naischt fir mech ;-) . i'm sooo in love with all 3 pieces as well! :) sadly i'm not brave enough to wear culottes though! No mid tops for me. But the trench coat will be out for this Spring a lot. 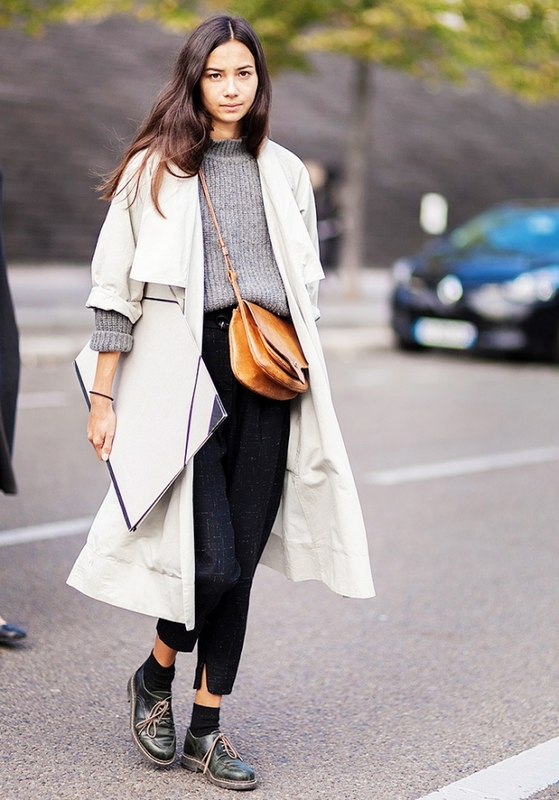 A big yes for the trench, a maybe for pointy heels and a huge nono for culottes (at least for my closet). I don't think that they are a good match for small women, especially when they have broader hips - on fashionable slim figures they might look nice though! The heels and the trenchcoat are classics; definitely worth investing in them!